Come along to the Keighley & Airedale Business Awards 2017 Q&A with Harry Gration. 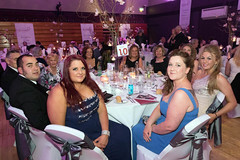 Meet last year’s winners and listen to the success stories from the Keighley Business Awards winners and sponsors. This is also a great networking opportunity and a chance to meet Harry Gration. Committee members will be on hand during the event to answer all questions about entering and sponsoring the awards in 2017. This event is proudly supported by Timothy Taylor’s the championship award-winning brewery based in Keighley. We look forward to seeing you there. 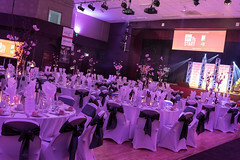 In recognition of the outstanding effort to raise money for Sport Relief earlier this year, made by Harry Gration and Paul Hudson, a collection was made at the Keighley Business Awards on June 17th. and this was presented to Harry Gration. Harry has confirmed that the collection of £414 for Sport Relief was received, with sincere thanks, and has been passed on to Sport Relief by BBC staff. Harry would appreciate it if the size of the collection was widely acknowledged. 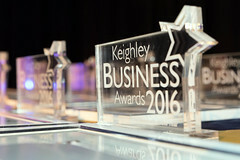 For another year entries have now closed for Keighley Business Awards 2016. We wish everyone who entered the best of luck and a big thanks for your entry. 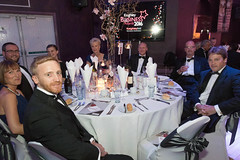 Judges formed from this years sponsors of the awards will review entries and make a shortlist of businesses who will be invited to the awards evening to find out if they have won. 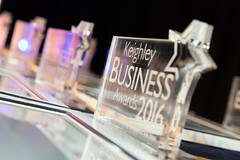 The shortlist will be announced on the 1st June 2016 on the Keighley Business Awards website. So please make sure you take a look to see if you have been nominated. 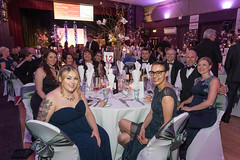 It’s usual once the shortlist has been announced that many businesses want to purchase additional tickets so they can bring colleagues, friends and family to the occasion. Please get in touch with us asap once you know numbers so we can allocate tickets to you. They do sell out fast and we are limited by space as to how many we can sell. 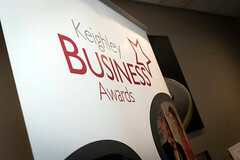 We’d also like to say another big thanks to our sponsors, without which there wouldn’t be a Keighley Business Awards. The event will be held on 17th June, once more in Keighley’s Victoria Hall, compered by BBC TV’s Harry Gration. 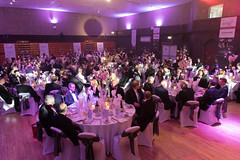 The annual Keighley Business Awards have grown successfully since they were launched in 2013 and are supported through business sponsorship and ticket sales. 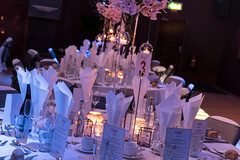 The organisation of the event is through local businesses and the quality of the event is exemplary. 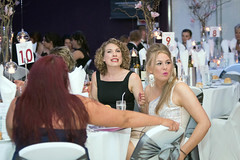 The awards were a sell out event in the last 2 years and are a highlight of the business calendar. They provide an opportunity for local businesses to promote their achievements to other businesses, Keighley and the wider world. The opportunity to enter is live now – closing date on May 6th. 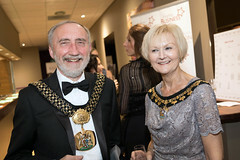 This annual showcase for business achievement captures some of the spirit of enterprise that the BID company wants to support and promote and looks forward to seeing a repeat of the success of town centre businesses like Slow Food Kitchen, Tax Assist Accountants, Hairavanti, and Buff Beauty Bar. 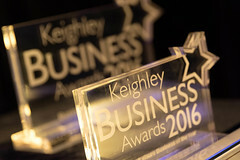 Many other Keighley businesses outside the town centre area were involved and have used the awards to market their businesses. 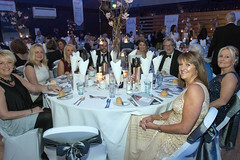 Business of the Year was Feature Radiators who have now confirmed they too will be a sponsor. There are still some opportunities to get involved as a sponsor. 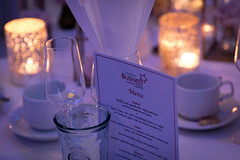 Any business wishing to get in touch should get in touch via the website. 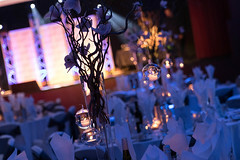 Despite the cancellation 2 weeks prior to the awards due to snow the pre-launch was a success and well attended. Chris Stott, Head of Business Engagement for Keighley College kicked off the proceedings with a few words about how they work with local businesses. 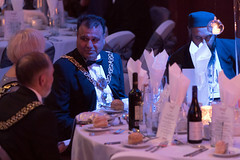 Councillor Khadim Hussain then followed with a roundup of his experience with the awards in previous years and the affect it has had on the local community. We then heard from Helena Gerwitz from Feature Radiators, last years Business of the Year. Helena told us how winning the top award has promoted their business. 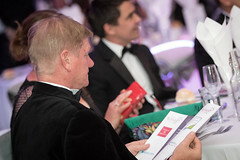 Steven Burles and Howard Martin Joint Chairs of the Keighley Business Awards 2016 then followed with all the details on submitting an entry, judging and sponsorship. We are now accepting entries. You can submit them online here or you may download a PDF version of the entry form and post it to us. If you require any help whatsoever with your application please contact Wendy Spender at Airedale Enterprise Services on 01535 607775. The deadline for entries is the 6th May 2016. Sponsorships are still available but moving fast. If you are at all interested in sponsorship please contact us via this form and we’ll discuss the opportunities with you. With regret the Steering Committee for the Keighley Business Awards 2016 have decided to cancel today’s Launch Event to be held at Leeds City College Keighley Campus at 3pm. Due to the weather we feel attendees may struggle to make it to the venue. As the steering committee we want the Launch Event to be well attended and as good as it possibly can be. The Launch Event has been rescheduled for Friday 18th March 2016 at the same time and location. We’re very sorry for any inconvenience but hope you understand our reasons for rescheduling. We look forward to seeing you in 2 weeks time. Do you have your Launch Event Ticket? 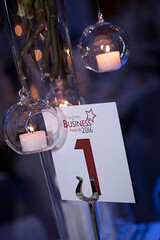 We’ve had a fantastic response to the Launch Event for this year’s Business Awards. 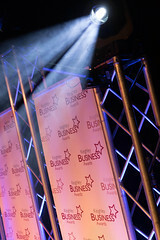 Held at Leeds City College Keighley Campus on Friday 4th March 3pm its set to be attended by over 60 local businesses. 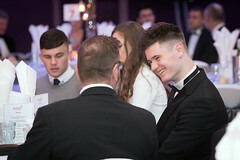 Not only is this a fantastic networking opportunity its also where you can get all the information on this year’s categories, how to enter and sponsorship opportunities. If you still don’t have a ticket you can register for one here. We look forward to seeing you with nibbles and refreshments.